New York City is so big and offers so much for visitors to see and do, it's difficult to say what is the best time to visit the city. Whether it’s cold or hot, and whether it’s raining or the sky is blue, there is always something for everyone in New York City. Springtime brings cool and sometimes light rainy weather and blooming flowers - many consider this as the best time to visit New York City. Summertime is warm to hot with sunny days and occasional breezes in places near the water. The fall weather is pleasant although it can get chilly. Winter is cold and sometimes snowy, but there are plenty of days with blue skies to enjoy during your carriage ride around Central Park. January is New York’s coldest month with freezing temperatures sinking to an average low of 26°F (-3°C). Incidentally, January also receives the least amount of sunshine annually with roughly 154 hours expected. The high temperature average is 39°F (4°C). In February, the average high and average low temperatures increase by three degrees to 42°F (6°C) and 29°F (-2°C) respectively. Average rainfall in February is the lowest in the year at 3 inches (99mm). New York Weather in March: Spring replaces Winter in March, bringing with it high temperatures. The average high temperature climbs to 50°F (10°C), while the low temperature average increases to 35°F (2°C). April sees another big increase in average temperatures although the climate still remains quite cool. New York sees average high temperatures of 60°F (16°C) and average low temperatures of 44°F (7°C). In May, for the last month of spring, the weather settles at an average high temperature of 71°F (22°C). Low temperature averages on the other hand will rest at 55°F (13°C). New York Weather in June: It’s a sunny month in New York in June, which averages 289 hours of sunshine. This coincides with an average high temperature of 79°F (26°C) and average low temperature of 64°F (18°C). July is the hottest month of the year in New York with the average high temperature hitting 85°F (29°C). It also receives the most sunshine out of the year, averaging at 302 hours of sun light received, and sees the highest precipitation rates annually with 5 inches (115 mm) of rainfall. In August, the temperature cools off ever slightly. The average high and average low temperatures range between 83°F (28°C) and 69°F (20°C), making August the second to the hottest month in the year. September brings with it a change of seasons and a welcome drop in temperatures. The average high temperature decreases to 76°F (24°C), while the average low temperature is a cool 61°F (16°C). New York Weather in October: Days get seemingly shorter in October as the average hours of sunshine fall to 213 hours. With fall in full swing, temperatures also continue to decrease rapidly with the average high temperature dropping to 65°F (18°C) and the average low temperature also going down to 50°F (10°C). In November, temperatures decrease again as winter approaches. Average high temperatures fall to 54°F (12°C) while the average low temperature dwindles to 41°F (5°C). December is the third coldest month of the year with the average high and average low temperatures ranging between 44°F (7°C) and 32°F (0°C). Meanwhile, 155 hours of sunshine can be expected in the final month of the year. 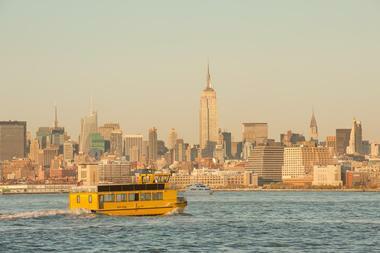 The general consensus, when it comes to New York, is that it’s always a great time to visit. It’s just a matter of what you want to see and do. When it comes to weather, the best times to visit New York are during its fall and spring seasons. The best of New York’s fall foliage is experienced at the height of fall in October. In terms of special festival and occasions, there’s no time like the November and December when the Macy’s Thanksgiving Parade takes place and the Christmas attractions start to come alive. There are three airports in the New York City area: the John F. Kennedy International Airport is the largest of the three and serves more than 80 airlines; the LaGuardia Airport is the second largest with about 20 airlines; and the Newark Liberty International Airport in nearby New Jersey is the third largest. Amtrak runs trains from cities all over the nation to New York City’s Penn Station on Seventh Avenue. 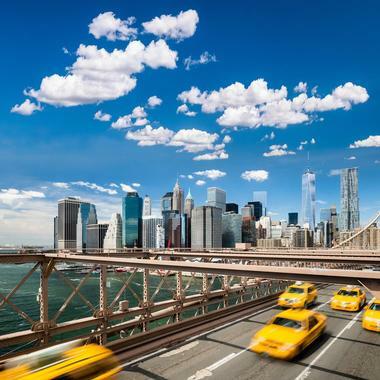 There are several ways to arrive in New York City by car: the New Jersey Turnpike, the New York State Thruway, and more. The most affordable way to get to New York City is by bus and there are several bus companies that serve the city. To get from JFK into New York City you have several choices: you can rent a car at the airport; there are taxis which tend to be on the expensive side; and the NYC Airporter Bus, SuperShuttle and the Express Shuttle are three forms of public transportation to get you into the city. Ways to get from LaGuardia into the city are similar to JFK: car rentals, taxis, and the same three shuttle companies. In addition the New York City subways and buses run to this airport. Newark’s airport offers some of the same choices: car rentals, taxis, and the Newark Liberty Airport Express shuttle. You can also get into the city by train using Amtrak or New Jersey Transit lines. 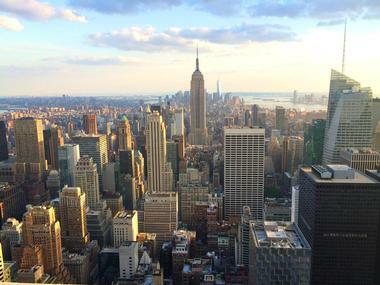 Next read: 25 Best Tours for Getting to Know New York City. There are several official visitor information centers spread out around New York City. These are the Official NYC Information Center at Macy’s Herald Square; the Official NYC Information Center - Times Square; the Official NYC Information Center - City Hall; and the Official NYC Information Center - South Street Seaport. At all of these locations professional staff will help visitors with things such as accommodations, attractions, events, restaurant suggestions, and places to shop; they can also explain the various ways to get around the city. At the visitor information centers visitors can also pick up a variety of brochures, guides, maps, and more. They even offer discounted passes to some of the city’s attractions. 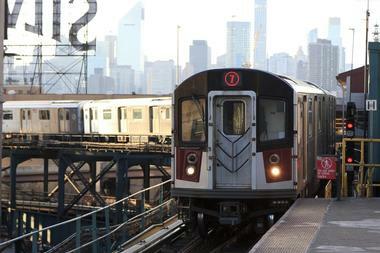 The Metropolitan Transportation Authority (MTA) is also known as MTA New York City Transit. This is the system that includes buses and subways that take visitors and residents all over New York City. It is an affordable way to get around the city and it operates 24 hours a day, seven days a week. In addition to single fares, the MetroCard is a pass that allows you to use the system as much as you like during a fixed time period. You can also transfer from subway to bus or vice versa using the MetroCard. You can also use this card on the Roosevelt Island Tram, a historic and scenic ride. 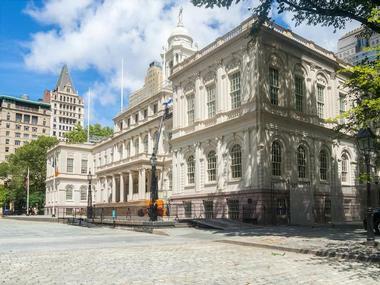 In addition to the Metropolitan Transportation Authority’s excellent subway and bus system, there are several other ways to get around New York City. Taxis seem to be all over the city and they are easily hailed: expensive but convenient. Traveling around the city in a car is not a wise choice: there are already too many cars in the city; there’s traffic congestion; parking is expensive and there is a lack of it; and there are few gas stations. Most New Yorker’s don’t drive so why should you? Manhattan is a long and narrow island where most people visit: you can actually walk the entire length of it if you like to walk. Bike, ferry, and helicopter are other choices. 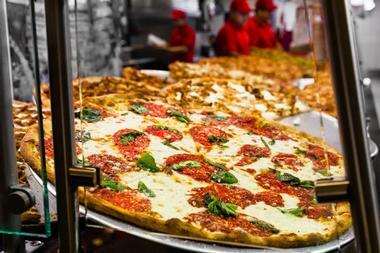 New York City is one of the greatest cities in the world for dining: your choices are almost unlimited. There are old-fashioned steakhouses; 15 course tasting menus at new trendy restaurants; fine dining in luxurious five star hotels; and thousands of restaurants that serve ethnic cuisine from places all around the world. This huge variety of ethnic restaurants comes from the fact that New York City has a large and varied immigrant population. There are many cooking schools here that are turning out young and creative chefs. Because the pace of life is so fast and hectic, people in New York City don’t have time to cook: this is one reason that there are so many restaurants. New York City is world famous for many things, and one of these is shopping. Many visitors go to New York City in the winter, especially around the holidays, for one reason: to shop. Many people feel that if you are looking for something and you can’t find it New York City, then it doesn’t exist! What can shoppers expect to find in this city? There are shops selling luxury clothes, books, gourmet goods, art, crafts, and so much more. The big department stores include Saks Fifth Avenue, Macy’s, Nordstrom Rack Union Square, and more. There are luxury stores like Hermes, Saint Laurent, Tiffany and Company, and Valentino. And don’t forget Chinatown: visitors will enjoy this interesting shopping experience. Most people think that New York City and Manhattan are synonymous when in fact New York City is made up of five boroughs. 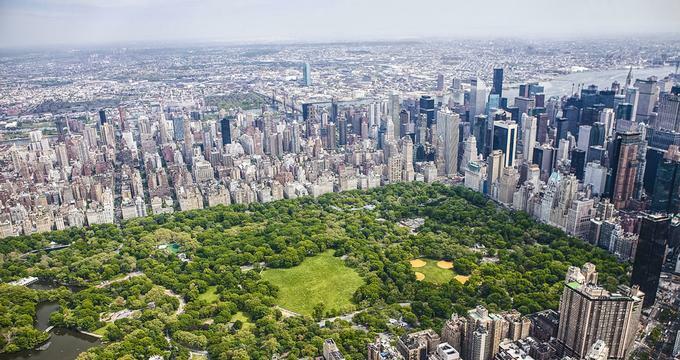 Manhattan is the borough where visitors will spend most of their time: it is here where they find shops, restaurants, attractions, theaters, Central Park, museums, and more. 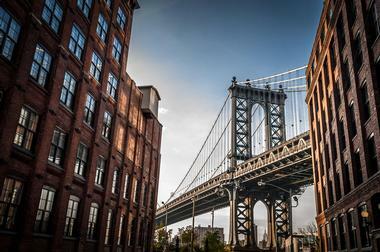 Brooklyn is just across the East River from Manhattan and is known for the walkable Brooklyn Bridge, museums, and views of Manhattan. Queens has many Greek immigrants along with Greek cafes, restaurants, and churches. The Bronx is where you’ll find the Bronx Zoo, the biggest metropolitan zoo in the country. 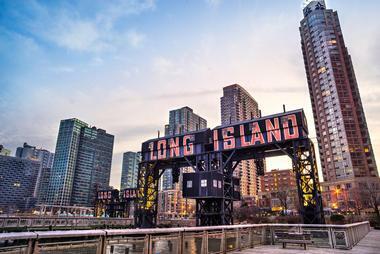 Staten Island is just a short ferry ride from Manhattan’s Financial District. Because of its size, there are a huge number of wedding venues making New York City a popular wedding destination. A marriage license can be obtained at any town or city clerk’s office in the state of New York. 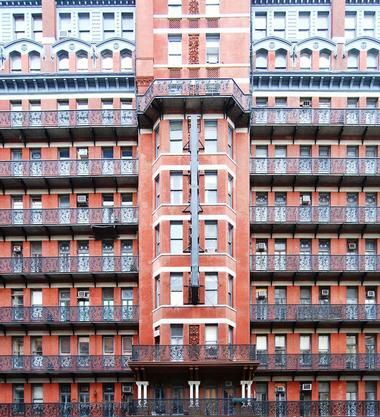 Some of the hotels that do weddings are the Eventi Hotel, Intercontinental New York Times Square, the Grand Hyatt New York, and the Roosevelt Hotel New York. If you are interested in getting married on a yacht, check out Atlantica and Francesca’s Touch Of Class. The Manhattan Penthouse on Fifth Avenue provides stunning views of the city. A unique wedding venue is the Abigail Kirsch at the Lighthouse at Chelsea Piers.